Google Classroom: This secure application allows teachers and students to interact virtually anywhere, anytime, from any device. Google Classroom allows educators to refresh their curriculum, track student progress, and provide timely feedback. Students can collaborate with each other from any location and communicate in a more effective and meaningful manner. Students at West Bay begin using this tool, in moderation, in grade four and continue to increase their use of this digital tool through seventh grade. To support your child with this tool, have them show you their Google Classroom, ask them to show you an assignment or the class stream. It’s a good idea to have your child’s user name and password, so ask them for it. Depending on the age and maturity of your child, you may need to check in on their assignments from time to time. FreshGrade: All of our classrooms are using FreshGrade as a digital portfolio for Units of Inquiry. Many of our teachers are using it much more frequently and as a powerful tool to communicate the day to day engagements happening in the classroom. FreshGrade allows teachers, parents, and students to share classroom work, reflect upon learning, and interact digitally. We really encourage our families to login to FreshGrade and comment upon their child’s work and reflections. FreshGrade allows families to see what students are learning in the classroom and use it as a springboard to engage in conversations to deepen learning and inquiry. In December, students’ end of term reports (Communicating Student Learning documents) will be completed using the FreshGrade platform and can be viewed online. Raz-Kids: Most of our primary classrooms and some of our intermediate classes are using this digital tool. Students are set up with an account and have access to hundreds of digital books. What makes Raz-Kids so impactful is the levelled nature of the books. As students learn to read and develop their literacy skills, having “just-right” books is really important. Raz-Kids allows for your child to read at the level that best corresponds to their reading level. Moreover, the structure of the program allow students to listen to a book, read the book, and then engage in comprehension questions which scaffolds the learning for children. Students really enjoy using Raz-Kids and accumulating “stars” to build robots and a virtual world. Student passwords for Raz-Kids can be found in your child’s’ agenda. This tool is available for use online or as an app for your tablet. Math IXL: This is a subscription that the school district has purchased for all students in West Vancouver. Math IXL is used by our teachers in many different ways. Some teachers use it in the classroom as a tool to provide extra practice for students, some teachers assign specific tasks for homework, while other teachers use it for extra practice at home. Math IXL is aligned to the provincial math curriculum and provides students access to unlimited questions. Teachers can track student progress, while students complete skills to earn awards and certificates. Library Resources: From our school web page, click on Learning Commons. There on the main screen is a link to our library catalogue. http://sd45library.sd45.bc.ca/common/servlet/presenthomeform.do?l2m=Home&tm=Home&l2m=Home you will find resources such as World Book, National Geographic Kids, and our databases such as EBSCO. World Book Early Learning has stories and games for young students. World Book Kids has reputable information that is good for beginning research. National Geographic Kids has a number of their published books available for on-line reading. EBSCO Databases are for our upper intermediate students. They may find Explora, in particular, useful for their inquiries. Under licence agreements, we cannot publish our passwords in an open format, but your child or their teacher can share these passwords with you (please check the front pages of their agenda books). In addition to these resources, you will find links to some other websites that might be useful. I especially like the Unite for Literacy site for emergent readers, where books are available in English and some other languages. There is an audio feature where children can hear the story read to them. I also like the International Children’s Digital Library where digitized books are also available for students to read in other languages. Having these resources available to our students is another way to personalize and enrich the work we do in our classrooms on a daily basis. Technology can be used to improve teaching and learning and help our students be successful. Education doesn’t stop at the end of the school day because students have access to teachers, resources, and assignments via the web and can access these resources at any time. 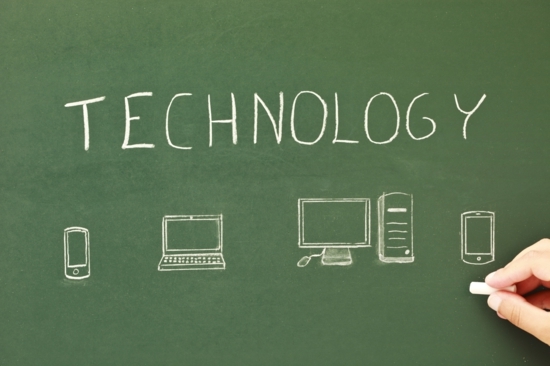 Technology has the ability to make teaching and learning more meaningful and fun.